vintage vehicle means a vehicle manufactured after 31 December 1918 and before 1 January 1931. For the purposes of section 7(1) of the Act, a club permit issued under this Part is a registration permit. (1) The Corporation may approve a vehicle club for the purposes of this Part by giving a notice in writing to the club secretary. (2) If the Corporation considers that an approved club is no longer able to uphold the integrity of the club permit scheme, the Corporation may revoke its approval by giving a notice in writing to the club secretary. the Corporation must notify each financial member of that club that he or she has 28 days to become a financial member of another approved club in order to comply with regulation 157A(2)(b). (vi) any other information specified by the Corporation. (f) it is not satisfied that the vehicle is safe for use on a highway. (b) written notice of the applicant's rights to internal and external review of the decision under Part 2.12 of Chapter 2. (1) On receipt of an application under regulation 155, the Corporation may issue a club permit. (d) specify the permit period. (3) When the Corporation issues a club permit in respect of a vehicle, it must also issue in respect of that vehicle a club permit label in the form determined by the Corporation. (e) in any other case, on or adjacent to the vehicle's rear number plate in a way that the characters on the number plate are not obscured. (4A) A driver of a vehicle under a club permit issued under this Part in respect of that vehicle must not use that vehicle on a highway if a club permit label, issued under this Part, is not affixed in accordance with this Part unless exempt under these Regulations or under any other law. (4B) A permit holder of a vehicle under a club permit issued under this Part must ensure that the vehicle is not used on a highway if a club permit label, issued under this Part, is not affixed in accordance with this Part unless exempt under these Regulations or under any other law. (5) When the Corporation issues a club permit in respect of a vehicle, it must also issue a log book in respect of that vehicle which has available entries for the operation of that vehicle for up to 90 days in the permit period. (6) On receipt of an application under regulation 155, the Corporation may issue a temporary club permit and temporary log book for use by the applicant until the applicant receives a club permit and log book. (b) the applicant destroys the temporary club permit and temporary log book on receipt of the club permit and log book. (1) A permit holder must ensure that a club permit is correctly affixed inside a log book. (2) On each day that a vehicle operated under a club permit will be driven outside the vehicle's local zone, the driver must fully complete the next available entry in the log book before beginning the journey. (3) If a journey begins before midnight and continues into the next day, an entry must be made in the log book in respect of each of those days. (4) If a club permit is a 45 day club permit, only the first 45 entries in the log book are available to be used, unless a second 45 day club permit is issued for the permit period and correctly affixed inside the log book. (5) If all available entries in a log book have been completed, or the club permit has expired or been cancelled, the permit holder must not drive the vehicle outside the vehicle's local zone until a new club permit is issued. (6) A permit holder must not complete or partially complete entries in a log book which relate to a future day. (1) A club permit is valid for 12 months from the date of issue of the club permit or the corresponding temporary club permit, whichever is earlier, unless cancelled or suspended sooner. (f) the vehicle operated under the club permit must be made available for a vehicle audit on request by the Corporation, in accordance with regulation 157D. (3) If a permit holder, being the holder of a 45 day club permit, is issued with a second 45 day club permit during a permit period, the second club permit must have the same expiry date as the initial club permit, and the duration of the second club permit is reduced accordingly. A club permit authorises the unregistered vehicle specified in the permit to be used on a highway during the period for which the permit is valid if the vehicle is used in accordance with the conditions to which the permit is subject. (e) the administrative fee for a log book, as notified by the Corporation. (2) A person may hold no more than two 45 day club permits or one 90 day club permit for an eligible vehicle during a permit period. (b) within a reasonable time period nominated by the Corporation in the written request. (2) If the nominated testing site or the nominated time period is inconvenient for the permit holder, he or she may notify the Corporation before the nominated time period is concluded, and the Corporation must provide an opportunity to reschedule the audit to an alternative testing site or time period, in accordance with the permit holder's reasonable request. (3) Any audit conducted under this regulation must be carried out under the direction of and at the expense of the Corporation. (d) the permit holder is engaging in conduct which threatens public safety or undermines the integrity of the club permit scheme. (e) the rights of the permit holder to an internal and external review under Part 2.12 of Chapter 2. (b) the Corporation reasonably believes that a reason for the suspension of the club permit still exists. (b) the permit holder's rights to an internal and external review under Part 2.12 of Chapter 2. (1) If a log book is lost, damaged, destroyed or stolen, a permit holder may apply to the Corporation for a replacement log book. (2) If the Corporation is satisfied that a log book is lost, damaged, destroyed or stolen, it may issue a replacement log book on payment of the administrative fee for a replacement log book, as notified by the Corporation. (3) The permit holder must advise the Corporation how many entries in the previous log book had been completed at the time that the book was lost, damaged, destroyed or stolen, and the Corporation must delete that number of entries from any replacement log book. slimline club permit number plate means a club permit number plate that has a height of not more than 120 millimetres and a width of not more than 375 millimetres. (b) in any other case, two club permit number plates. (3) A permit holder may apply to the Corporation for the issue of slimline club permit number plates in respect of any eligible vehicle except a motorcycle. (4) An applicant under subregulation (3) must pay the fee fixed by the Corporation under section 5AE of the Act. (5) The issue of club permit number plates or slimline club permit number plates under this regulation does not confer on the applicant any rights in the number displayed on the number plates. (b) the vehicle were a registered vehicle. (7) If a club permit number plate is lost, damaged, destroyed or stolen, the permit holder may apply to the Corporation for a replacement club permit number plate or a replacement slimline club permit number plate. 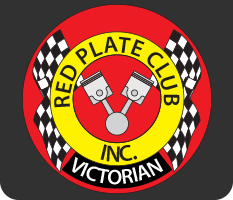 (8) If the Corporation is satisfied that a club permit number plate is lost, damaged, destroyed or stolen, the Corporation may issue to the permit holder a replacement club permit number plate or a replacement slimline club permit number plate on payment of the relevant fee fixed by the Corporation under section 5AE of the Act. (1) If a vehicle operated under a club permit is disposed of during the term of the club permit, the club permit ceases to have effect. (b) the club permit number plates are removed from the vehicle, and returned to the Corporation on request. after commencing financial membership of an approved club, the permit holder must send the Corporation a notice endorsed by the secretary of the approved club or another person authorised by the approved club stating the date that the financial membership commenced. (2) Subject to subregulation (3), a permit holder must notify the Corporation within 14 days of ceasing financial membership of an approved club, stating the date that the membership has ceased. (3) The notification obligations in subregulations (1) and (2) apply only in respect of the permit holder's primary club membership, being the membership under which the permit holder holds or intends to hold a club permit. (4) Subject to regulation 154(3), a permit holder's obligation to maintain financial membership of an approved club is satisfied provided that the time elapsed between ceasing financial membership of one approved club and commencing financial membership of another approved club is no more than 14 days. transitional log book means a form for recording vehicle use issued by the Corporation under subregulation (2). (2) On or before the commencement date, the Corporation must issue each prior permit holder with a transitional log book, at no charge, in respect of each vehicle operated under a prior permit. (b) regulation 157A(2)(a) is satisfied if the prior permit holder carries the prior permit in the vehicle with the transitional log book whenever the vehicle is operated on a highway.